THE COMPANY has changed utterly but as Neil McGee makes the scenic drive ‘around the back of Errigal' to training, the aim remains the same. It has been a winter of change in Donegal. Eight of last year's panel have stepped off the carousel. His brother Eamon, Christy Toye, Colm McFadden, Rory Kavanagh and David Walsh have retired, Anthony Thompson is unavailable, while Leo McLoone and Odhrán Mac Niallais haven't returned for 2017. It has left some gaping holes for Rory Gallagher, the Donegal manager, to fill, but McGee insists that Tir Chonaill have plenty of causes for optimism, despite the deluge of departures. “Most of them were expected,” he says. “A couple of them could have stayed on, no bother, but you kind of knew that it was going to happen with most. “The bulk of last year's starting team are still there. A lot of boys who have been there for a couple of years on the panel and have bided their time. They're developing well and we have a good batch here. “There is no doubt about the quality that we have. You can see it in training. Some of them just need to prove themselves at senior level. “These boys have a lot to offer. Time will tell. Last year we had the likes of Eoin McHugh come in and nail down a spot, Kieran Gillespie broke through too. We have plenty of quality coming. “I still have a full car load with me. It's strange not having the boys, but I've Cian (Mulligan), (Micheál) Carroll and (Kieran) Gillespie now. Not that he ever thought of walking away. “I was always coming back,” says the teak-tough full-back, a triple All-Star. 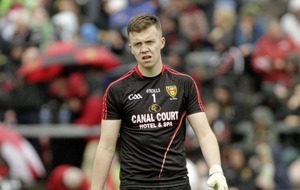 McGee still winces at talk of the last two Ulster finals. 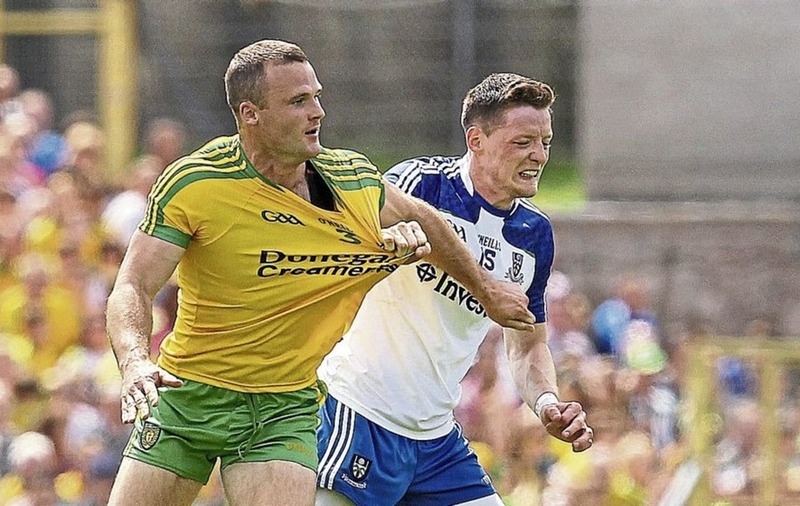 Donegal lost to Monaghan by a point in the 2015 final and they left Clones last July cursing another Anglo Celt that got away when a late trio of points by Sean Cavanagh, Peter Harte and Ciaran McGeary tipped the scales in Tyrone's favour. McGee says: “Ulster was there for us last year. “We were in control for 50 minutes and it was all going to plan. We gave away a few soft points. “Tyrone probably just showed they wanted it more. We did want it badly though. We let it slip. “That's two years now we've been unlucky in the final. Rory has been unlucky as a manager so far – he could very easily have won two Ulster Championships. “We've come out of two finals now thinking we should have won them. That's down to us. We should have got over the line. 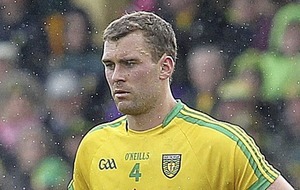 McGee believes that Donegal – who begin their Allianz League campaign against Kerry in Letterkenny this Sunday – will be back contesting for silverware this summer. He says: “There's no reason we won't be challenging. Our target this year is to win Ulster. That's our prime target. Ten years ago, McGee was still a fresh-faced member of a Donegal panel that won the county's first and, to date, only, Division 1 title, only for them to make a tame Ulster exit at Tyrone's hands in a semi-final. McGee says: “It's all about Championship. It's a pity that the League wasn't more important. “Ten years ago, we hadn't won much. Donegal hadn't won a thing since 1992 and hadn't ever won a League. 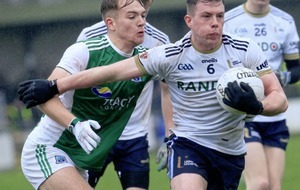 A red card against Fermanagh last year meant that McGee misssed the drawn semi-final encounter with Monaghan and the replay won by Donegal in. It broke a remarkable 11-year sequence and a run of 51 Championship games. He says: “It was hard watching. The second game wasn't too bad because I felt that we were always the better team and weren't going to lose. The first game was absolute torture.